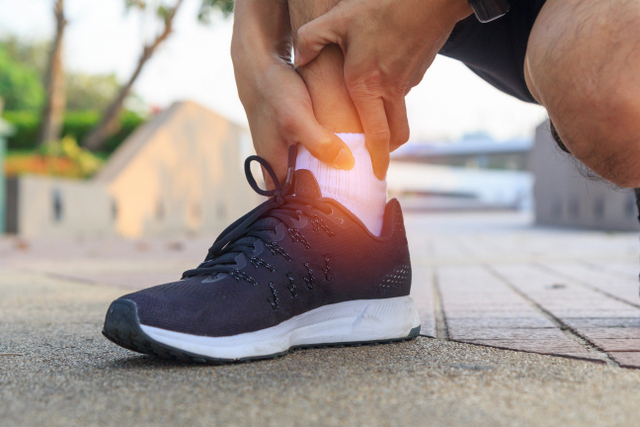 The Achilles tendon is the tissue which connects the back of the calf muscles with the heel. Overuse of the Achilles tendon can lead to a painful condition known as Achilles tendonitis. This is common in those that engage in high impact sports such as running, basketball and volleyball. It is also common in older people. Usually, if there is increased or sudden intensity around the Achilles, it may become swollen and painful to touch. Continuing with such activities may lead to severe pain. There are two types of Achilles tendonitis: insertional and non-insertional. Insertional will impact the lower tendon around the heel and non-insertional will be around the middle part of the tendon. If you feel that you may be suffering from Achilles tendonitis your doctor will be able to perform a full diagnosis. In extreme cases, surgery may be required. There are many kinds of natural treatments for Achilles tendonitis. A reduction in physical activity can help with the pain as well as plenty of rest. Massage can also be very effective in gently stretching the muscles around the tendon. You can also wear a brace to stop ankle movement, along with treating the affected area with ice. Be sure that you avoid direct skin contact with the ice as the cold could damage the nerves. If you are finding it difficult to rest the Achilles tendon, taping may be a good option. Taping can help reduce the impact on the tendon area during any walking or exercise. This happens by letting the tape take some of the load as well as preventing the tendon from stretching too much. However, taping Is usually only required in severe cases of Achilles tendonitis, normally after the tendon has ruptured. The type of tape required to carry out insertional Achilles tendonitis taping is Rock Tape.